The Italian Riviera is one of the world's prettiest places to visit. It encompasses an area that stretches from the French-Italian border to Capo Corvo, near La Spezia Italy. 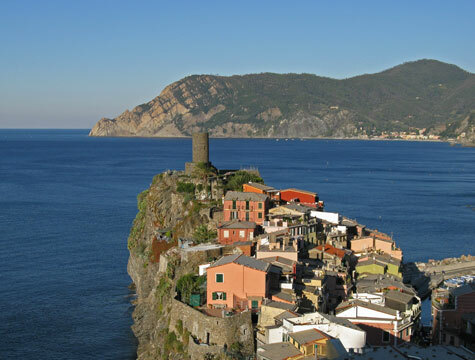 Tourists can visit picturesque seaside communities such as Monterosso al Mare and Vernazza. The Italian Riviera features attractive, clean beaches and a spectacular coastline. There are numerous old forts, churches and other historical monuments to explore. Many tourists visit the Cinque Terre National Park to hike along its spectacular seaside trail. They enjoy visiting the small Italian towns of Corniglia, Manarola and Riomaggiore. All the towns on the Riviera have good hotels, guest houses and other accommodation for tourists. The Cinque Terre towns are connected by ferry boat and a local train service. Explore our website and discover what the Italian Riviera has for you!